May 31 #74 Memorial Day Mailbag-We Answer Your Questions on this Holiday! On this holiday weekend, Damon and Marcos open up the mailbag again and answer a bunch of questions that have been written in to the podcast. They also try to set you up for your career with a book list, gig tips, summer festivals (and how to track them down) as well as an iconic recording, product review, educational spotlight and music news! The first thing talked about are some books to help set up your career. This is a BLOG POST Damon wrote ages ago that you can read about some of the books mentioned. There will be links to the books talked about below. Keep scrolling down! First up is The War of Art by Stephen Pressfield. You can get that book HERE. Next up is Practice Perfect by Doug Lemov. You can get that book HERE. Following Marcos' comments, a few other books come to mind. Like Effortless Mastery by Kenny Werner. You can snag that one HERE. The 10,000 hour rule is talked about in the book Outliers by Malcolm Gladwell. Added bonus, by Malcolm Gladwell is The Tipping Point. If you want to continue down the Malcolm Gladwell rabbit hole, he also hosts a podcast. If you are a music teacher and want to expand or upgrade your teaching studio, here are two books by Phillip Johnston in chronological order of release. Once you have that studio built, as "extra credit" this BOOK (not mentioned in the episode) will help you teach the students you have amassed. 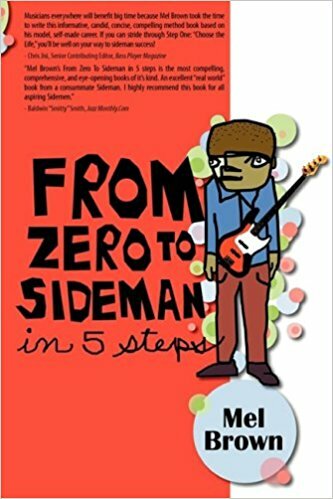 If you're interested in being a better sideman (or woman), you can listen to our interview with the great Mel Brown in in episode 64 and then pick up his book, From Zero to Sideman (in five steps). The blog post that Damon wrote (which was reposted by Modern Drummer and Zildjian on their blogs) is what is talked about next. It is titled 15 Things I learned After Music School. The next book is How to Make it in the New Music Business by (friend of the show) Ari Herstand. You can hear him on the same episode with Fausto Cuevas which is episode #14. Following that book up is Why I Failed in the Music Business: and how NOT to follow in my footsteps by Steve Grossman. The Martin Atkins books are: Welcome to the Music Business, You're Fu*ked! 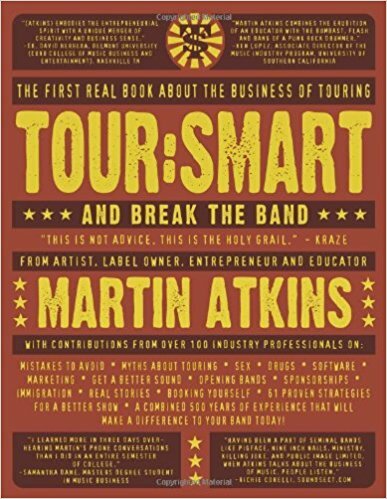 Tour Smart and Band Smart. Moving into the marketing aspect, Permission Marketing by Seth Godin is great! The 22 Immutable Laws of Marketing by Al Ries and Jack Trout is a quick read, but extremely in depth. For all the science nerds, there is the book Brainfluence by Roger Dooley. 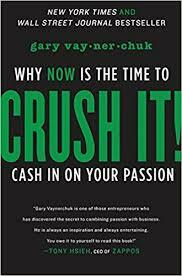 The Gary Vaynerchuk books can be found HERE. Lead With a Story is a marketing book and more by Paul Smith! Our educational spotlight is these sites Marcos talked about; Beatport, Soundation, & Splice (which Marcos uses with Ableton). Damon mentions The Loop Loft, started by (friend of the show) Ryan Gruss, who you can listen to on episode #26. This was part one of three of setting up your home studio (he recently sold the company to Native Instruments. Part two of three was featuring Kit Karlson, who is not only a percussionist, but also an audio engineer. Part three of three, featured Travis McNabb. Shoutout to everyone getting ready to start their drum corps competing. If you want to go see a show or possibly audition for a drum corps in the future, this website: DCI dot org, is a good starting point to get you going. The iconic recording this week is a Spotify playlist called Backyard BBQ Bangers that Damon created. You can use this public playlist for all your functions and get togethers. The product review is what looks like an old tape player, which is actually a digital music player. YouTube has a new feature to start introducing additional credit information for songs and other music tracks. The other two sites that have credits and personnel listings are Discogs dot com and All Music dot com. The famous mixing engineer mentioned on the show is Manny Marroquin (who used to be a drummer). Check out his plugins, discography and more HERE. Understanding Spotify as a musical artist, the video series. Here's a blog post on how to get your music on a Spotify or Apple music playlist. This is an additional blog post for the same subject (always good to get a second opinion). The company that was started by streaming guru Charles Alexander is called Streaming Promotions. Spotify has taken their stance on "Hateful Conduct" and removed some artists from their platform. Pandora is rolling out their family subscriptions and radio plan. Amazon has a hands free music app that works in conjunction with Alexa. SZA is being pulled from TDE Championship Tour due to swollen vocal cords. If you are interested in seeing some music festivals this summer, you can check out Jambase dot com. Damon recently went to a music festival and got to catch up and spend time with the drummers for the Tedeschi Trucks Band (and friends of the show) J.J. Johnson and Tyler "Falcon" Greenwell. You can listen to the highly entertaining conversation that Damon and Marcos had with them in episode 43. May 24 #73 Henry Cole-Grammy Award Winning Drummer, Sideman, Bandleader, Educator & More! May 17 #72 Bill Bachman- Rudimental Great, Educator, Author & Inventor! Aug 23 #86 Jon Epcar-Drummer for Mean Girls, Carney, Spiderman on Broadway and More! Feb 21 #112 Joe DeVito- CPA (Tax tips to maximize your money & avoid being audited)!! !